For centuries the Sufi creed and Sufi music have been tom-tommed as great symbols of spiritualism and promoters of peace and harmony between the Hindus and the Muslims. The cleverly marketed concept of Sufi spiritualism has been unquestioningly accepted as the hallmark of Hindu-Muslim unity. As with most such myths, history becomes the first casualty. It is therefore time we studied the history of Sufis, tried to track the narrative of their coming to India and analyzed their explicit missionary role in promoting conversions to Islam. More importantly, it needs to be assessed how did the Sufis conduct themselves during reckless killings and plunders by the Muslim invaders? Did they object to the senseless mass killings and try to prevent unremitting plunder of Hindu temples and innocent masses? Did the Sufis ever object to the capture of helpless men and women as slaves and the use of the latter as objects of carnal pleasure? These are some of the questions to which answers have to be found by every genuine student of Indian history. Most Sufis came to India either accompanying the invading armies of Islamic marauders, or followed in the wake of the sweeping conquests made by the soldiers of Islam. At least the following four famous Sufis accompanied the Muslim armies which repeatedly invaded India to attack the Hindu rulers, seize their kingdoms and riches and took recourse to extensive slaughtering of the commoners. 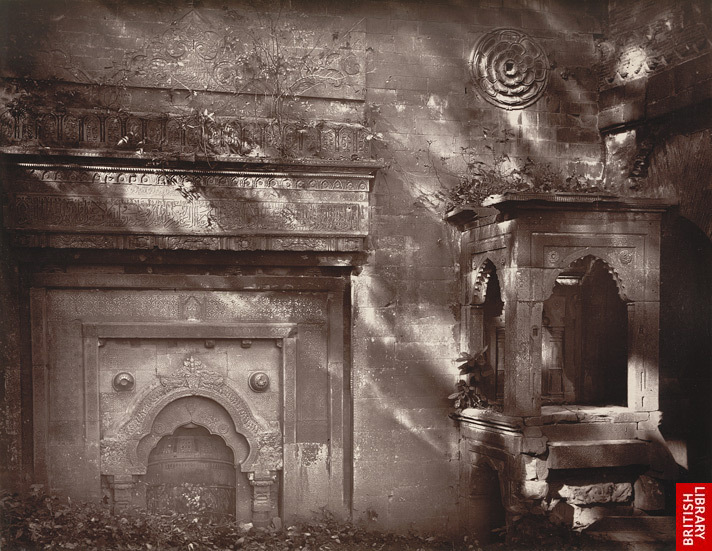 Almost all Sufi masters were silent spectators to the murderous mayhem and reckless plunder of temples ands cities by the marauding hordes across the subcontinent. Taking advantage of the fact that the Hindu masses are deeply steeped in spiritual tradition and mysticism, the Sufis used their mystic paradigm for applying sort of a healing balm on the defeated, bedraggled and traumatized commoners with a view to converting them to the religion of the victors. An old portrait of Moinuddin Chishti of Ajmer. Sheikh Nizamuddin Auliya of Dargah Hazrat Nizamuddin came to Delhi in the year 1335 accompanying a contingent of the Muslim Invaders. Like all Sufi masters, his main task was to apply the balm of spiritual unity on the traumatized Hindu population and then gradually persuade them to convert to Islam. Not a single Sufi, the so-called mystic saints, ever objected to the ongoing senseless manslaughter and reckless plunder, or to the destruction neither of temples, nor for that matter to the ghoulish enslavement of the so-called infidel men and women for sale in the bazaars of Ghazni and Baghdad. Operating from the sidelines of spiritualism, they even participated in the nitty-gritty of governance to help the Muslim rulers consolidate their authority in the strife torn country. And significantly, their participation in the affairs of the State was not conditional upon the Muslim rulers acting in a just and even handed manner. On the contrary, the Sufis invariably tried to help the Sultans in following the path shown by the Prophet and the Shariah. Another important objective of the spiritual and mystic preaching of the Sufi masters was to blunt the edge of Hindu resistance and prevent them from taking up arms to defend their hearth and home, their motherland and their faith. The Sufis did this by using the façade of peace and religious harmony. The Naqashbandi Sufis had very close relations with Jahangir and Aurangzeb. The well known Sufi Saint of Punjab, Ahmad Sirhindi (Mujadid) of the Naqashbandi order (1564-1634) held that the execution of the Sikh leader Guru Arjun Dev by Jehangir was a great Islamic victory. He believed and openly proclaimed that Islam and Hinduism were antithesis of each other and therefore could not co-exist. Even the Chishti Sufi, Miyan Mir, who had been a friend of Guru Arjun Dev, later on turned his back on the Sikh Guru when the latter was arrested by Jahangir and sent for execution. Ahmad Sirhindi (Mujadid) of the Naqashbandi order (1564-1634) held that the execution of the Sikh leader Guru Arjun Dev by Jehangir was a great Islamic victory. It may be recalled that the great Sufi master of the eleventh century, Al Qushairi (A.D.1072) had unambiguously declared that there was no discord between the aims of the Sufi ‘haqiqa’ and the aims of the Sharia. The definition given by Al Hujwiri should be able to quell any doubt about the commitment of Sufis in upholding the supremacy of the Islamic faith over all other religions. That dogma has been the key component of the philosophy of Sufism not only in India, but across the world – from India to Hispania (i.e., the Spain). Al Hujwiri laid down the golden rule that the words “there is no god save Allah” are the ultimate Truth and the words “Muhammad is the Apostle of Allah” are the indisputable Laws for all Sufis. In other words, Sufism and the ulema represent the same two aspects of the Islamic faith which are universally accepted and obeyed by all Muslims. The renowned ninth century Sufi master, Al Junaid, also known as “the Sheikh of the Way”, and widely revered as the spiritual ancestor of Sufi faith, had categorically proclaimed that for Sufis “All the mystic paths are barred, except to him who followeth in the footsteps of the Messenger (i.e., Prophet Muhammad) [Source: Martin Lings, What is Sufism, George Allen & Unwin Ltd, London, 1975, p.101]. As pointed out by Reynold A. Nicholson in the Preface to the famous tome, ‘Kashaf al Mahjub’ (Taj & Co., Delhi, 1982). “No Sufis, not even those who have attained the highest degree of holiness, are exempt from the obligation of obeying the religious law”. In fact, the famous tome, ‘Kashaf al Mahjub’ written by Ali bin Al-Hujwiri, who was also known as Data Ganj Baksh, was widely regarded as the grammar of Sufi thought and practice. Most Sufis have invariably drawn on the contents of this treatise for preaching the Sufi thought (also known as Sufi sisals). As already stated, on page 140 of Kashaf al Mahjub Al Hujwiri loudly proclaims “the words there is no God save Allah are Truth, and the words Muhammed is the Apostle of Allah” are the indisputable Law. The Auliya was a firm believer in the need for unquestioned obedience of every Muslim, every Sufi, to the dictates of the ulema. According to K.A. Nizami, another Sufi saint Jamal Qiwamu’d-din wrote that though he had been associated with the Shaikh Nizamuddin Auliya for years, “but never did he find him missing a single sunnat …… ” . It has been categorically stated on page 161 in the famous treatise, Fawaid al-Fuad, translated by Bruce B. Lawrence (Paulist Press, New York, 1992) that the Auliya confirmed on the authority of the great Islamic jurist, Imam Abu Hanifa, that the perdition of the unbelievers is certain and that Hell is the only abode for them, even if they agreed to confess total loyalty to Allah on the Day of Judgment. In the above mentioned treatise on Sufi philosophy, Fuwaid al-Fuad, a very interesting instance of enslaving the kaffir Hindus for monetary gain has been cited which shows how another Sufi, Shayakh Ali Sijzi, provided financial assistance to one of his dervishes to participate in the lucrative slave trade. He had advised the dervish that he should take “these slaves to Ghazni, where the potential for profit is still greater”. And it was confirmed by Nizamuddin Auliya that “the Dervish obeyed”. Obviously therefore, neither spiritual ethics nor justice to all, including the infidels, were the strong points of Sufi saints. When Khwaja Moinuddin Chishti reached near the Annasagar Lake at Ajmer where a number of holy shrines of Hindus were located, he slaughtered a cow and cooked a beef kebab at the sacred place surrounded by many temples. 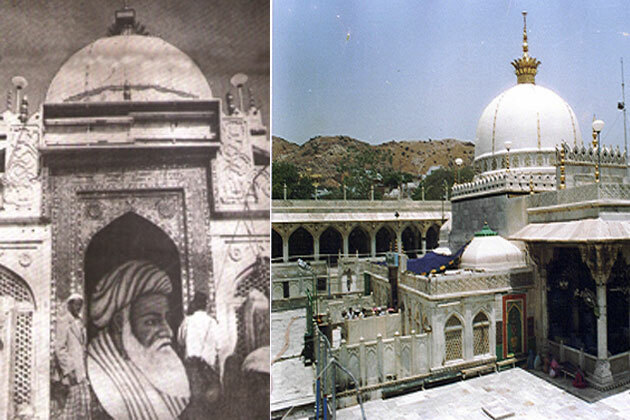 If the narrative of the preaching and acts of Khwaja Moinuddin Chishti of Ajmer are taken as indication of his religious philosophy and deeds, he emerges as a Sufi master who nursed a deep hatred against the infidel Hindus and showed utter contempt for their religious beliefs. As elaborated by S.S.A. Rizvi in ‘A History of Sufism in India, Vol. 1 (Munshiram Manoharlal, 1978, p. 117), there is a reference in the book, Jawahar-i- Faridi, to the fact that when Moinuddin Chishti reached near the Annasagar Lake at Ajmer where a number of holy shrines of Hindus were located, he slaughtered a cow and cooked a beef kebab at the sacred place surrounded by many temples. It is further claimed in Jawahar-i-Faridi that the Khwaja had dried the two holy lakes of Annasagar and Pansela by the magical heat of Islamic spiritual power. He is even stated to have made the idol of the Hindu temple near Annasagar recite the Kalma. The Khwaja had a burning desire to destroy the rule of the brave Rajput king, Prithiviraj Chauhan, so much so that he ascribed the victory of Muhammad Ghori in the battle of Tarain entirely to his own spiritual prowess and declared that “We have seized Pithaura alive and handed him over to the army of Islam”. [Source: Siyar’l Auliya, cited by Rizvi on page 116 of ‘A History of Sufism in India’]. Throughout the protracted Muslim rule of India, all Sufis enjoyed full confidence, royal favor and patronage of the cruel Muslim rulers. Though foolishly accepted as “secular” by most Hindus seeking spiritual solace after being battered, bruised and marginalized, almost all Sufi saints dogmatically followed the commandments contained in the Quran, the Hadith and Sharia. Historians have recorded that many Sufi saints had accompanied armies of the Muslim invaders to use their spiritual powers in furtherance of Islam’s conquests. Not one of them raised even a little finger to forbid slaughter of the innocents, nor did they question the imposition of jiziya by Muslim rulers. In fact, most of them guided the Muslim rulers in carrying forward their mission of conquest and conversion by furthering their campaigns of plundering the wealth of Hindus, of which many Sufis willingly partook share. It was almost a taboo for Sufis, the so-called saints, to accept a Hindu ascending the throne of any kingdom during the heydays of the Muslim rule. In an example narrated by S.A.A. Rizvi on page 37 of his well researched book, The Wonder That Was India (Vol.II, Rupa & Co, 1993, New Delhi) it is pointed out that when the powerful Bengali warrior, king Ganesha, captured power in Bengal in the year 1415 A.D.
Nur Qutb Alam Gateway; photo by John Henry Ravenshaw, 1860’s. No Muslim, nor any Sufi, has ever agreed to worship in a Hindu temple, nor make obeisance before the images of Hindu Gods and Goddesses. Unfortunately due to relentless colonization of the Hindu mind during 1000 years long oppressive Muslim rule, the Hindu masses till date have failed to realize that the so-called Sufi philosophy of religious harmony is a one-way street. This trend of Hindus praying at tombs and dargahs has been nurtured by the strong undercurrent of belief in spiritualism among Hindu masses, even educated classes. That is the crux of the matter. Deeply steeped in their traditional belief in spirituality and mysticism, Hindus have developed the custom of visiting dargahs and continue to pray at the tombs of Sufis. However, no Muslim, nor any Sufi, has ever agreed to worship in a Hindu temple, nor make obeisance before the images of Hindu Gods and Goddesses. For them it would be an act of grossest sacrilege and an unacceptable violation of the basic tenets of Sufism. That is the truth about the Sufi saints and their “philosophy” of inter-religious harmony. Open Letter to Saif Ali Khan: Why must Pataudi brides convert to Islam to marry?